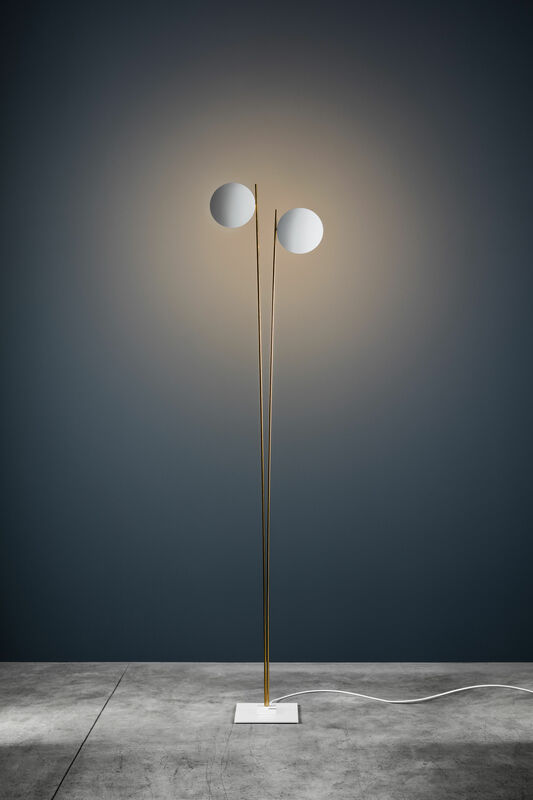 Refined and minimalist, this floor lamp consists of two white domes balancing on oblique gold metal rods. 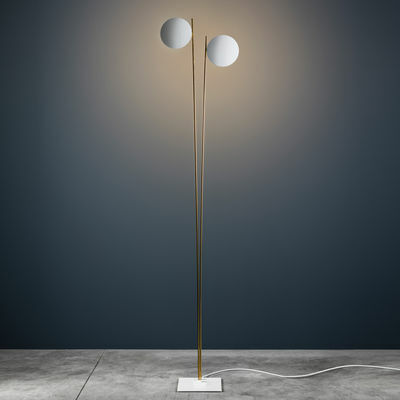 A sculptural, sophisticated light construction exploring the theme of balance. Both domes tilt to direct the light to meet your needs. Catellani & Smith’s production output is mainly artisanal. These lamps are hand-made by different craftsmen. Each lamp is subjected to rigorous control which ensures its quality. Small imperfections are not a defect but rather a feature of manual work.